For those of you who are Tables in Wonderland there is a special opportunity for you this Valentine's Day. At the Atlantic Dance Hall on the boardwalk at Disney's Boardwalk Inn you can experience the "Chocolate Dinner", being held February 14 from 6 - 8 pm. Guests will enjoy hour d'oeuvres, a plated dinner and trio of chocolate deserts (chocolate infused flan, chocolate angle food cake with berries and Grand Marnier infused strawberry with Valrhona fondue) while being entertained by a jazz trio. The cost is $160 + tax per person. 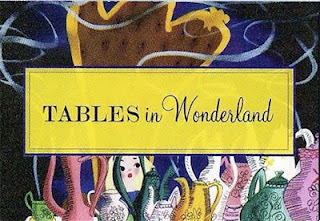 To book email Tables In Wonderland. Make sure to include your name, address, phone number and number of people in your party. If anyone tries this I'd love to hear about it. You can post your comments here or you can email me Cooking With Mickey.